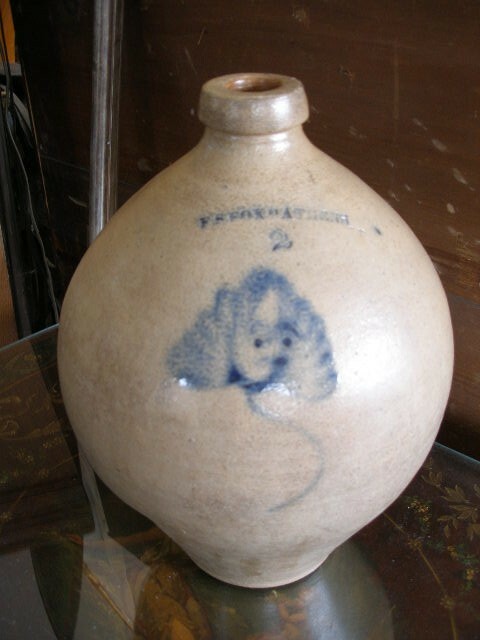 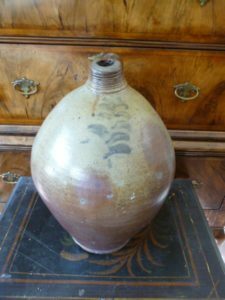 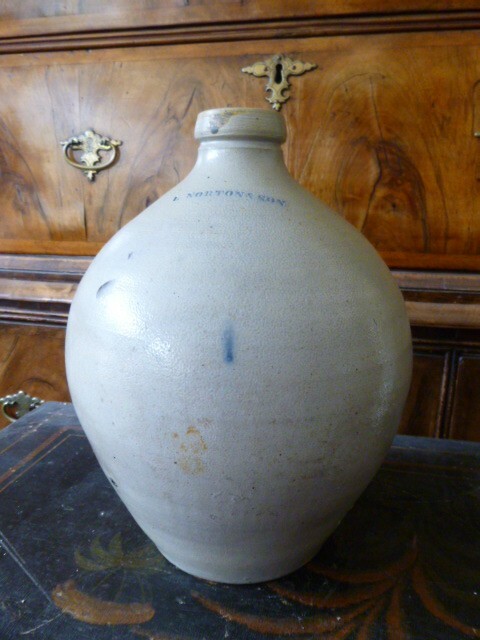 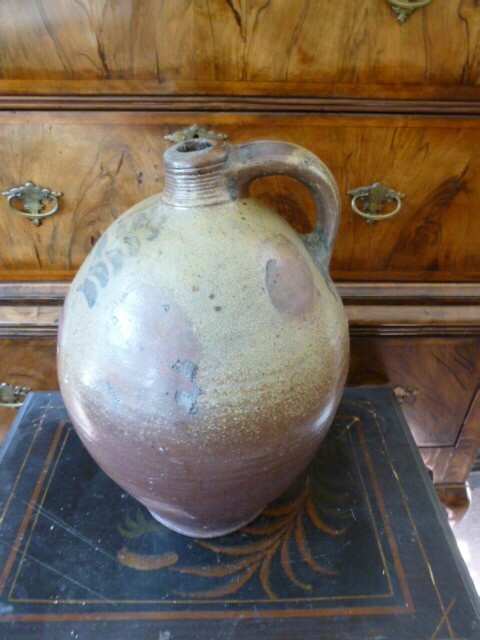 Very rare and beautiful 3 gal jug made by the Frederick Carpenter pottery in Charlestown, Ma. 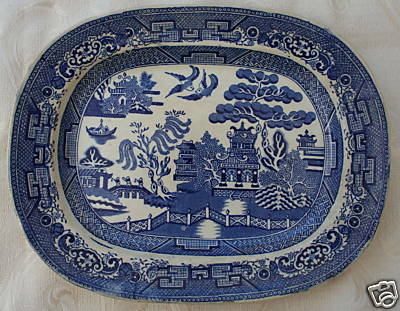 Dates to around 1812-1820. 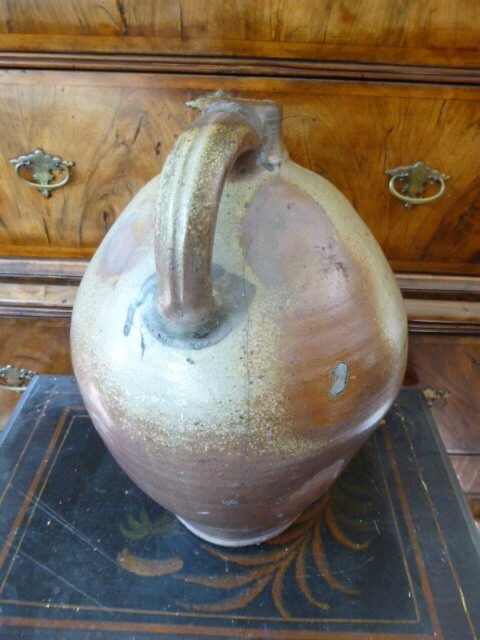 Today the referent term for these are, Charlestown pieces. 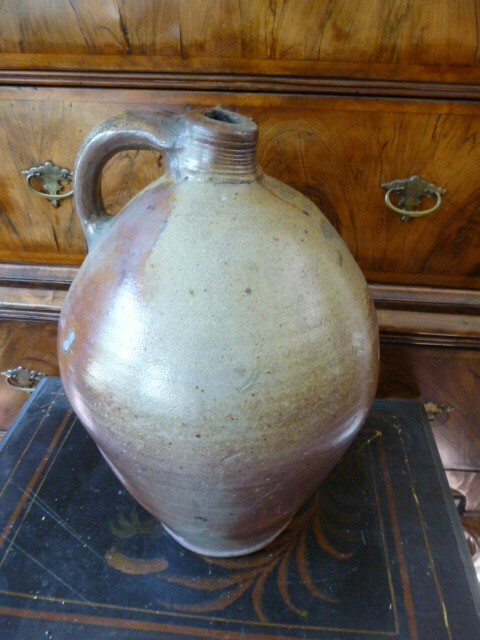 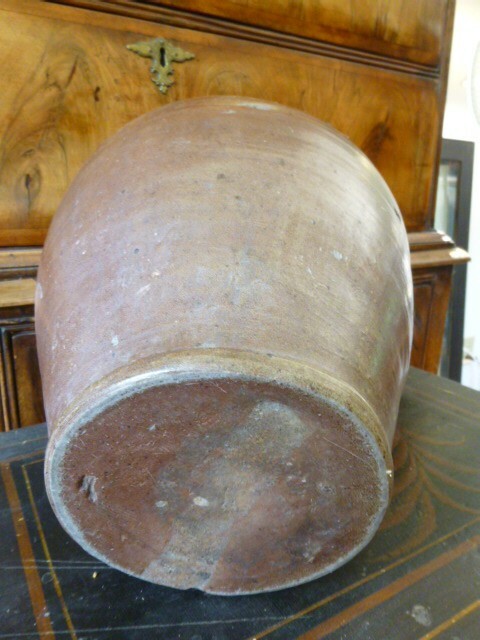 The brown glaze was called “rust decorated”. 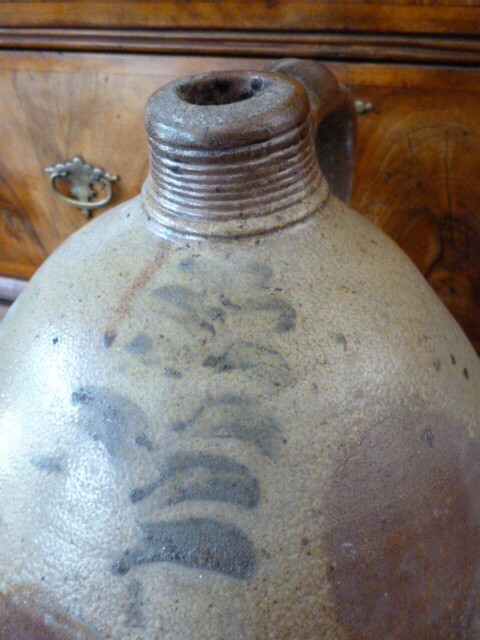 It also was decorated with a early colonial image of a Christmas tree, a good luck symbol. 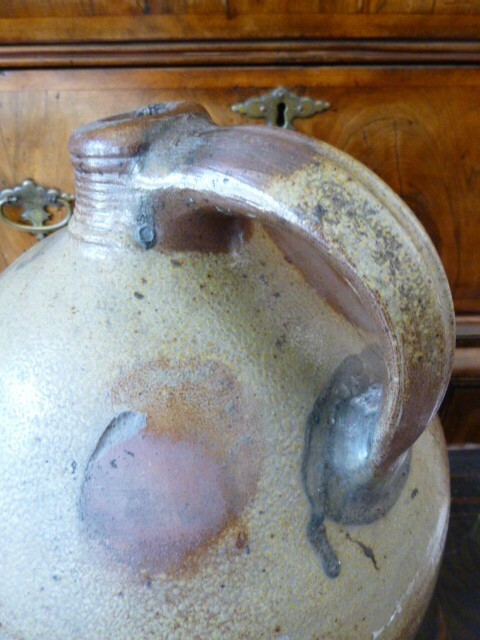 Does have a very old crack all the way in the back which ends well before reaching the bottom or the neck area. 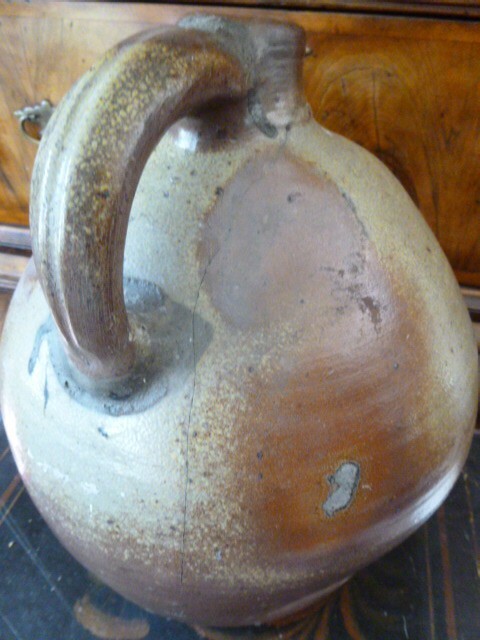 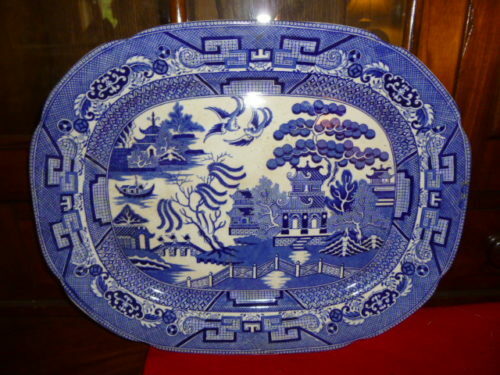 Other than that, this is a beautiful and extraordinary example of early Boston stoneware pottery.